The standard-bearer of the DeepRock line. 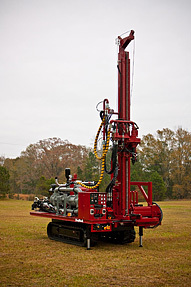 This compact, yet powerful water well rig can drill wells to 500' and employs many innovative features including the patented automatic breakout system which makes rod disconnections fast and safe. 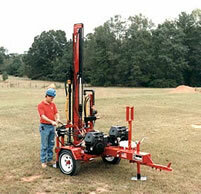 Available with gas or diesel power. 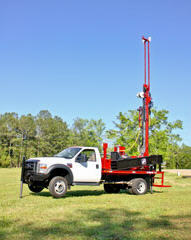 Skid, tandem axle or truck mount are available. 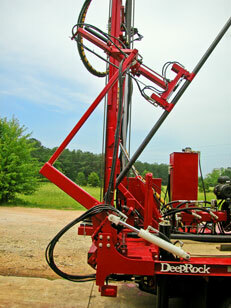 The DR120 is rapidly becoming the most popular and versatile of all the DeepRock rigs. The DR120 is available in skid, tandem trailer, track, or truck mount configurations and can be outfitted with either deck engine or PTO power. 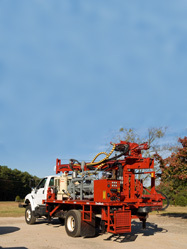 This rig can be outfitted with centrifugal, piston, diaphragm and screw mud pumps, water injection and on-board air compressor. 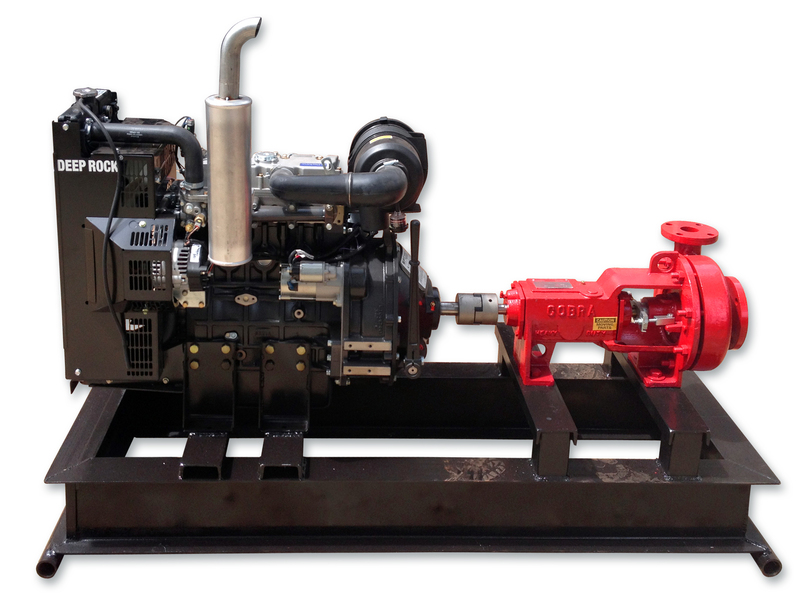 versions with either deck engine or PTO power. 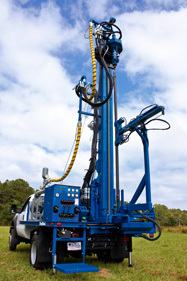 The DR150 featured in this photo is outfitted with DeepRock's exclusive OTTO automated drill rod handling system and a swing jib. 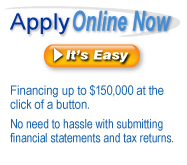 In addition to low initial cost, low operating cost and maintenance systems are incorporated into the design. 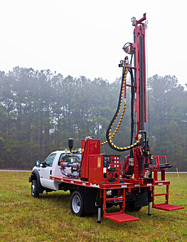 Like the DR150, This rig is capable of successfully competing with the drilling performance of much larger and more expensive drill rigs. 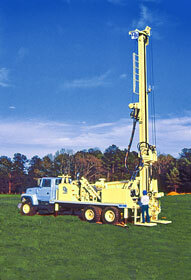 The DR240 is a combination multi-purpose rig. 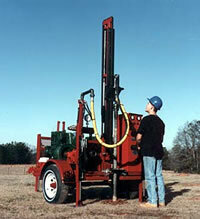 With 25' of stroke and up to 12,000 ft. lbs. of torque, the DR240 can handle large diameter augers, drill deep, large diameter holes, run down-the-hole hammers, employ reverse circulation, and much more. 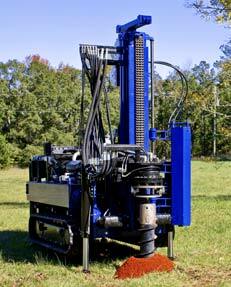 With a variety or options the DR240 can be equipped to meet all of your future needs. 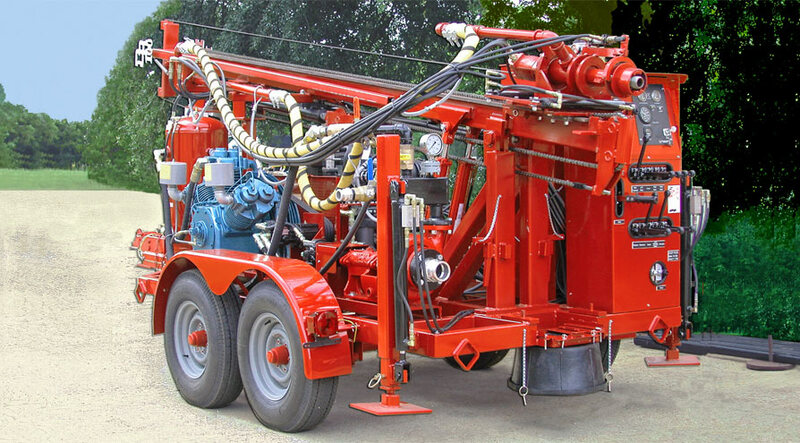 Deeprock® 50 hp Perkins diesel mud pump used on several of our large rigs. In response to our customers requests for innovative financing solutions, DeepRock has recently partnered with Crest Capital to provide flexible, financing solutions tailored to our customers specific needs.